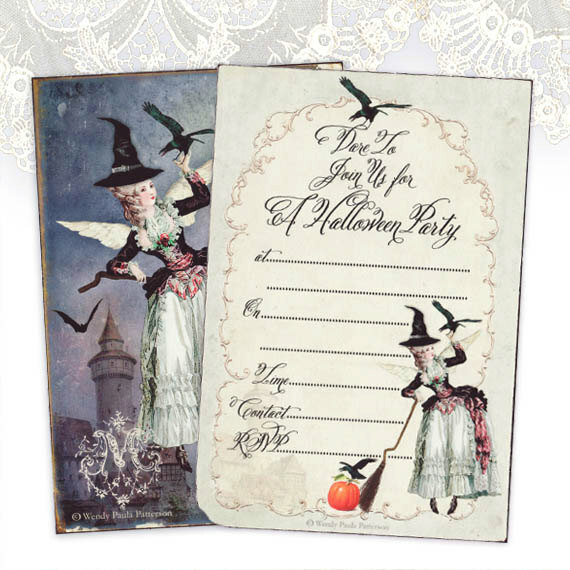 Halloween cards, party invitations and stickers. Please visit our etsy shop to view more designs. …flitting from flower to flower, or job to job! I have a new licensing partner which is an exciting development for home ware products. My designs have been mostly used on paper goods, seeing them on home wares will be wonderful! I am really looking forward to seeing the products they produce. Christmas and Halloween cards are being designed for the holiday season which are fast approaching. A few designs have made their way into my etsy shop. The design below is licensed to Collage Greetings and I am told it is a best seller this season! praying for a beautiful sunny day. Planning a Halloween Party ? 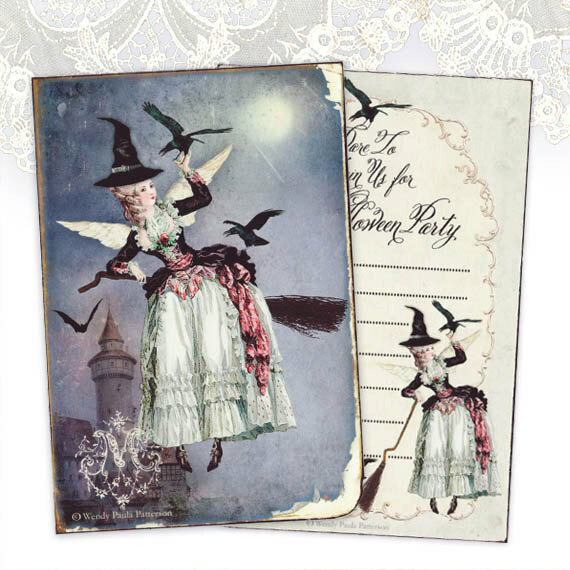 of Halloween cards gift tags and Invitations, here are a few samples for you. Please visit Mulberry Muse for the full 2012 Halloween collection.